Equi-Heart Pledge: 12.21.12 The Cosmic Shift with Horse: An Exercise in Unity & Truth! 12.21.12 The Cosmic Shift with Horse: An Exercise in Unity & Truth! 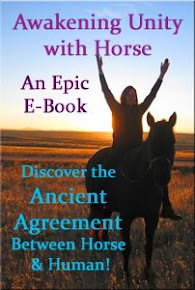 Back in 2012 a gorgeous Black Stallion showed up in my shower and asked me to write a book with him about how horses were helping with the Cosmic Shift in Consciousness that would happen in 2012. Well, now we are here! And here's what the horses want you to know about the importance of 12.21.12....plus they give you an exercise to magnify the energies during these important weeks. If you can't be with or on top of a horse in these times, simply do it from the ground or in your imagination- it all works. 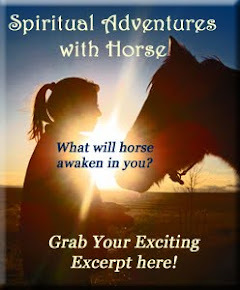 By taking this time to partner with horse to ground these new celestial and cosmic energies, you'll be helping Horse support Humanity in making the shift to the new consciousness where you can access your Divine Self anytime you choose! And we thank HORSE for all they are and all they do. If you haven't already, grab your copy of Jasper's book: Awakening Unity with Horse to receive the powerful energetic activations from this message from the heart and spirit of Horse! As as a FREE gift to help horse with the shift, please enjoy my gift to you of a copy of the guided horse meditation: The Circle of Enlightenment....by taking the time to use this meditation around these weeks, we each can add out heart energy with horse to the WHOLE and uplift Humanity at this sacred cosmic moment!